With our high quality, stainless steel and hard wood, extra long handles Grill Accessories. The perfect length Grill Tools. Never worry about feeling the heat when grilling again. Perfect gift set.You can put our outside use grill tools inside your dishwasher for quick and easy cleanup! They will stand up to all the use and wash without becoming discolored or warped. No scrubbing or hand washing needed always a plus when it comes to cleanup time. Great gift set idea. Looking for ideal Bamboo Case Bbq Tools Set Manufacturer & supplier ? We have a wide selection at great prices to help you get creative. All the BBQ Tools Set with Bamboo Handle are quality guaranteed. 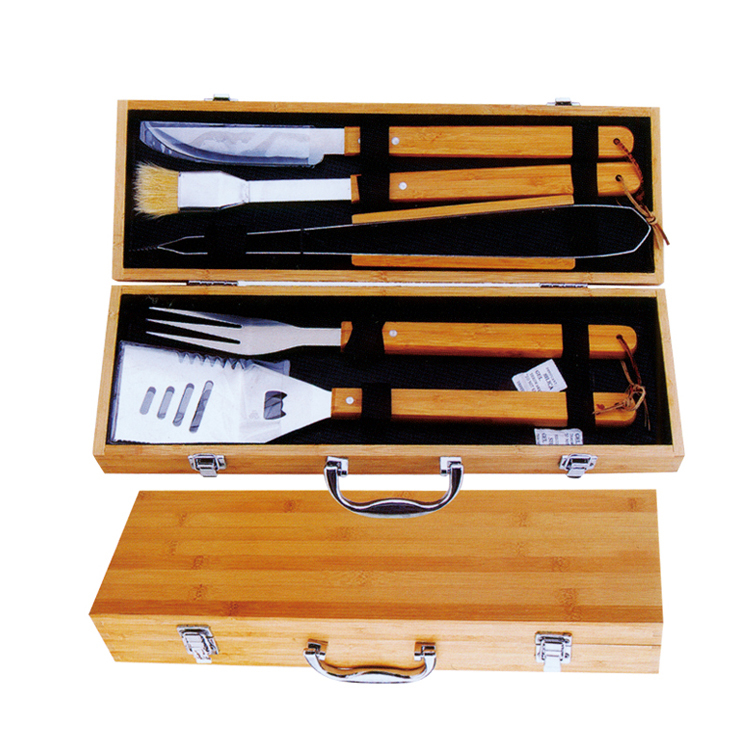 We are China Origin Factory of 5pcs BBQ Tools in Bamboo Box. If you have any question, please feel free to contact us.